The majestic Cascades, the beauty of the evergreen, the fishing, a flourishing agriculture, the harbors for maritime trade, those famous crisp apples and the friendly, hardworking people of Washington make it a great state to do business. Yet, like anywhere, there’s competition. You need a way to save money but still be accessible to anyone at anytime. You need an answering service or call center to help you out. Call Center Plus is a great choice for Washington State answering services. Our offices are equipped with the latest and the best technology. We can customize the answering services you need to best showcase your business and your product. Our live telephone agents are trained to present a professional front for your business. 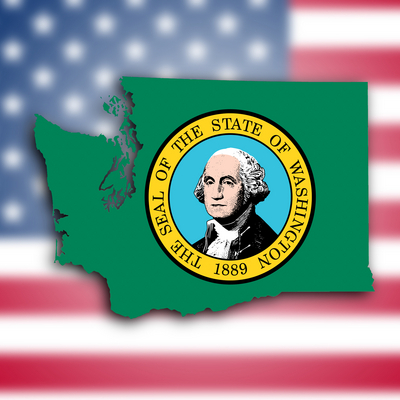 What can Call Center Plus answering service do for Washington State based businesses? Who can benefit from a Washington State call center? Any other business that deals with customers who need to contact you in any way! We are here 24/7/365 so you don’t have to be. We charge a nominal account maintenance fee each billing cycle and then you just pay for the minutes you use. There are not contract packages with a number of minutes that you are billed for, whether they are used or not. You are billed in real time, rounding to the nearest second, and only for the time the agents are on the phone with your customers or clients. It is normally cheaper to use us 24/7 than it is to pay a front end person to sit in your office 40 hours a week. We do not lock you into a service contract. You are free to leave our services at any time. Research shows that about 40% of people who reach a voice mail move on to the next business on the list. By using Call Center Plus, your customers get the human touch of live, friendly, knowledgeable agents. How much more can your business grow by capturing that 40%? No matter what business you are in, from Seattle to Spokane, Walla Walla to Bellingham, and everywhere in between, Call Center Plus is the best Washington State answering service solution. Call Center Plus……..We Answer Your Phones. Mention Washington State Answering Service or Answering Service in Washington State for a free 1 hour setup.